Delta® is committed to supporting water conservation around the globe and has been recognized as WaterSense® Manufacturer Partner of the Year in 2011, 2013, and 2014. Wash the day away with this multi-functional hand shower. We've got you covered from top to bottom, or bottom to top, giving you water anyway you need it, anywhere you need it. Thank you for your question. When asking your question, you did not state whether your not you already had a handshower installed and were just changing out the trim. If you need a new installation of the handshower, then we recommend installing Delta Faucet model # RP33791RBLHP which includes the transfer valve. You will also need the H516RB handle if you want a metal lever handle or H512RB is you would like a porcelain lever handle. What is the water pressure on this shower head? We have a white hand held shower head that is not working well any more. I think the number on it is A112.18 1M. It is 2.56GPM which we want with one setting. What hose do I use? Attaching to a U4920-PK diverter. Would like a chrome or stainless steel hose approximately 60 - 84 inches. Please advise. Thanks! 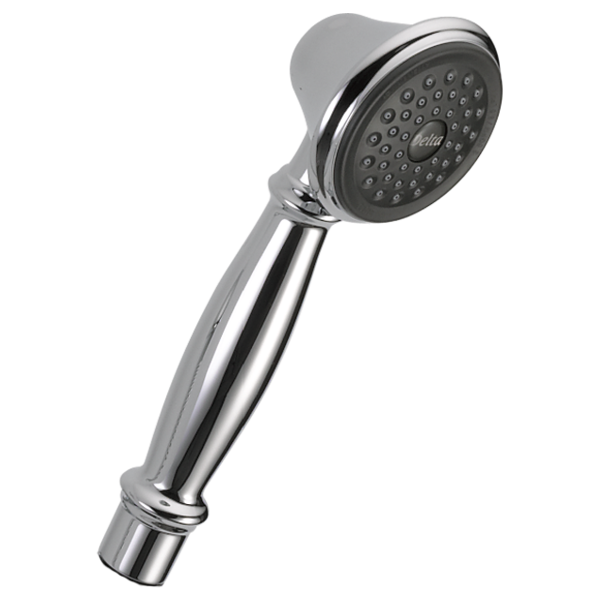 What is part number for the hose that goes with hand held shower head RP46680RB? What type of diverter is used with this product? I would like to install this product to an existing bath tub that currently has this product/model faucet and spout. Which type of diverter would be used for this shower head in a bath tub and how would this be installed? Will this replace the hand faucet for a 54713-SS &amp; can I order a wall mount bracket for this separately? Will this replace the hand faucet for a 54713-SS &amp; can I order a wall mount bracket for this separately so we can mount it higher than the bar allows? If yes to wall mount bracket can you please provide the part number for the bracket.